The annual Boston St. Patrick Day breakfast and parade went off without a hitch Sunday as politicians cracked jokes and people from around the world marched down Broadway. The day’s events kicked off with the breakfast at 10 a.m., where many city leaders cracked jokes, often at President Trump, and sang songs. Senator Linda Dorcena Forry shared a special new "executive order" from President Trump and Sen. Elizabeth Warren showed off a Tom Brady jersey she said was the one that went missing from the Super Bowl. Governor Charlie Baker shared his horror story when he realized he looked like NFL Commissioner Roger Goodell. 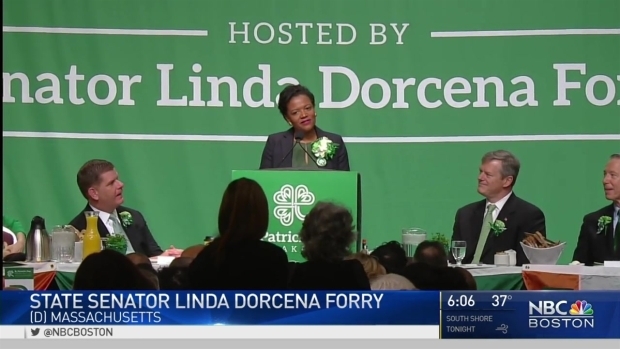 Before the politicians joined the thousands of fans in for the parade, they were at the South Boston Convention Center roasting each other at the annual St. Patrick’s Day Breakfast. Katelyn Flint has the highlights. Mayor Marty Walsh showed a video showing a day at City Hall following his comments that Boston will be a safe haven for immigrants. The annual St. Patrick's Day Parade kicked off at 1 p.m. This year the parade was shortened due to the amount of snow and ice on the route. The parade was only on Broadway, which is about half the length of the usual parade route. 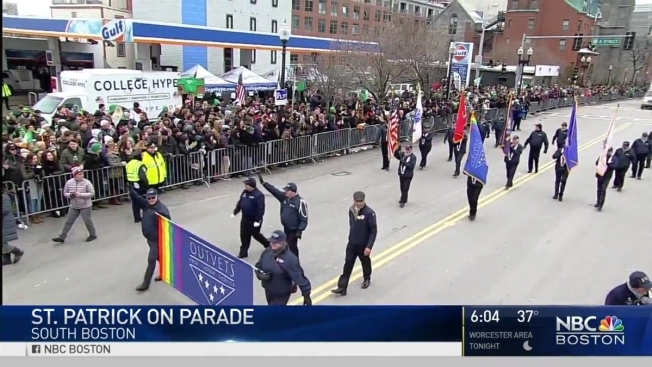 In past years, the parade has started on West Broadway and continued onto P Street, East 4th Street, K Street, East 5th Street, G Street, Telegraph Street and Dorchester Street, ending at Dorchester Avenue. It is organized by the Allied War Veterans' Council of South Boston, which came under fire this year after it voted not to allow a gay veterans group to march in the parade. The council ultimately changed its mind and decided to allow OutVets to participate following public outcry.